People will always tell you that the future is bright, but if you are like many of us, then you’re looking at the future and wondering what there is to be excited about. Here’s the problem: many people, just like you, are wasting their talents in minimum wage jobs that simply don’t pay the bills. Granted, you don’t want to be there for the rest of your life, but if you are indeed like most people, you can’t really see a way out of it. Here’s the problem: you need the education to get a good job, but at the end of the day, you need money to get an education. You can see where this is going, and it probably has you doing a lot more than just scratching your head. You may even be a bit angry about it, which is definitely understandable. That being said, you need a plan that perhaps doesn’t involve a four-year college, and you’re probably looking at Medical billing and coding. We can’t say you’ve made a bad choice. Before we jump into the specifics of medical billing and coding training, let’s talk a bit about how you can jump into this career and how it will make a difference to you. First of all, we offer training for the career you want, rather than forcing you to take a range of ‘required’ courses, like math, English, etc. Instead, we allow you to focus on the most important thing of all: your career. The second thing you should know is that we offer a much more affordable tuition, so you can actually dream of leaving your 9-5 job and start to make something of yourself. If those are foreign concepts to you then congratulations, you’ve come to the right place. Medical billing and coding is an important part of the industry, though it is not directly related to patient care. So, what does that mean? It means that you can expect to become a part of it without worrying about spending seven years in medical school. Honestly, it’s a great way for you to get your foot in the door of the medical industry, and that’s perfect if you plan to significantly expand your education later on. Medical coding is essentially the transformation of medical procedures and activities into an alphanumeric code. Everything in the healthcare industry, no matter how minute or insignificant it appears to be, is going to have a code, and in order for them to actually be effective, they need to be applied properly. In some cases, that might sound a bit easier said than done, which explains the extensive education involved. There is often some confusion with medical billing and coding education, and most importantly whether or not they’re the same thing. Long story short: they’re not. There are some significant differences between the two, so we will start by saying that a medical coder reviews the clinical statement and assigns standard codes. The medical biller, however, will process and follow up on claims send to insurance companies to seek out service reimbursement. While they are both very different jobs, they are still both extremely important. That said, they’re still both great ways for you to get into the door of the medical industry and build up a name for yourself. Check out our wide range of educational services today and determine whether or not this is something that you would want to invest your time into. It might not be long before you find yourself in the career of your dreams, whether it’s this one, or something totally different that you pick up later on down the road. With the right medical coding training, you can make a difference in your life, and the lives of others. When you look for a career, one of the things you want to be sure of is that you don’t step into a role which can only lead towards a dead end. Many people struggle for much of their professional lives to find a career that is both stable and rewarding, so it pays to do your research before you commit to future study. If you’re getting ready to finish high school, or even if you are planning to make a move from another line of work, then a career in medical billing and coding could be a great option for you. This will allow for plenty of challenge and professional development, and could even be a pathway to other roles in the healthcare industry. Today, the healthcare system is complex and advanced. As patients move throughout different care facilities, their medical records will quickly build up. Any interaction with a doctor, when getting a checkup, or even when hospitalized, is recorded as medical information. Because that data needs to be readily available in a standardized format, medical coding was developed. In short, when you learn medical coding, you’ll be learning the industry standard codes that keep track of patient records. These could be related to a disease of illness or even the medicines that a patient was prescribed. Because the coding is standardized, it’s possible for a patient to visit virtually any healthcare facility, and their records will be easily interpretable, even by staff who have no previous experience with the patient. Coding isn’t just useful for actual healthcare but is also essential for medical billing. Billing codes ensure that procedures are recorded correctly for billing and insurance purposes. When you get training for medical procedure code, you’ll learn the skills to work in hospitals and clinics as a medical coder, or you could even go on to work in the insurance industry with your medical billing and coding training. Unlike many industries, billing and coding will allow you to provide a valuable service that benefits individuals, companies, and society at a high level. Even the CDC uses medical codes to track disease and pandemics, so you’ll be part of an essential machine that keeps America healthy. While some coders have developed their skills on the job, you’ll have more success in employment if you start with training for medical procedure code. At the ITI Technical College, we’ll provide you with comprehensive training that covers all aspects of medical coding. This includes codes that are used in healthcare industries, as well as procedures for medical billing. One thing that you’ll find in the industry is that the job is usually intensive and performed in a high-pressure environment. Many people flourish in these conditions, but only with the right training. That is why our programs aim to simulate the type of environments you’ll be working in. To supplement classroom learning, you’ll also work on code entry with a team of other students, which will feel very similar to working in a team at a busy hospital or medical center. The program covers the type of software that you’ll use when employed, and we cover standard industry codes so that you can work virtually anywhere in the United States. Best of all, at the conclusion of the one-year certificate course, you’ll be fully skilled in performing medical billing and coding. Having a qualification will make you more attractive to employers because you won’t require as much on the job training. This can mean that you’ll be offered a more competitive salary, or at the very least it will mean that you’ll be a preferred hire when compared to unqualified candidates. Learn more about medical billing and coding training by giving us a call today, and begin the enrollment process that will prepare you for a rewarding and meaningful career. If you’re thinking about attending medical coding school to further or begin your career, then you’ve probably done some research on what medical billing and coding is, and how getting certified could open up some great job opportunities for you. However, you may have had some confusion when comparing medical coding and transcription. While these two roles do have some crossover areas, they are quite different in practice, and if you’re thinking about a career in the coding profession, it can be helpful to know a little bit more about what transcription entails. Let’s take a look at both areas of medical record keeping, and see where they differ. If you decide to become a medical biller and coder, it will be your job to take patient medical records and record them using a standard coding system that is recognized throughout the United States. You will be working with written medical records, case notes from doctors, and billing information from hospital and clinic databases. Sometimes, your medical coding certification may even lead to work at an HMO, arranging coverage and compensation for clients with health insurance. Medical transcription also deals with patient records but is focused on creating records from patient consultations. A transcriptionist takes audio recordings from consultations and translates them into medical records. A transcriptionist won’t always be trained in coding and billing, so these records may later be encoded by a specialist. Both roles are essential in the healthcare industry, but a transcriptionist fits into more of a niche area. Not every hospital or clinic will record patient interactions, and most doctors and other professionals will record their notes manually. A transcriptionist may also have a quality assurance role, ensuring that consultations are being performed in line with regulations and hospital or clinic policy. While medical coders can begin working with a medical coding certification, most transcriptionists require degree level education. However, some transcriptionists can be trained on the job, or some may transfer into the role from other areas of healthcare. Are the Job Prospects the Same for Both Professions? As far as job security and opportunity goes, the healthcare industry is relatively stable. However, there are some roles that don’t see as much demand as others. In the case of medical billing and coding specialists, the job growth sits at a rate of about 15%, and is expected to continue growing at this rate until 2024. In contrast, medical transcription is on the decline, with a rate of -3% for the same period. This difference is simply down to most hospitals and medical centers not having a need for full-time transcriptionists, whereas every facility is required to have a coding department. If you want to get the best opportunities in the future, then medical coding training in Baton Rouge LA will be the better option for you. How Can You Get Started in the Industry? To learn the recognized coding systems and procedures that are used in the United States, you’ll need to begin with at least a year of full-time study. By enrolling at ITI Technical College, you could complete a Medical Coding Certificate program in Baton Rouge Louisiana, providing you with a recognized certification that will help you to find employment in the industry. Your certification will cover the two main coding systems used in the industry, and the program at ITI is designed to prepare you for a busy workplace environment where you will have to work quickly and accurately, with the latest coding and office productivity software. You can begin training after graduating high school, or you may choose to begin a medical coding career after being involved in another profession. If you want to learn more about course entry requirements and when our next program is starting, then it’s time to call give us a call, or simply fill out our online application form. An exciting career awaits you, and with strong job growth, you’ll find that there are opportunities in Louisiana, and throughout every town and major center in the country. Each day, new opportunities present themselves and it is up to each individual to take them. Oftentimes, opportunities may come your way, but you need to act on them. Rarely do they simply plop in your lap; you must go after them and take advantage of the prospects. Be proactive and seize the moment before it passes you by. Dare to step out of your comfort zone and pursue something new. Success never happens without first taking a risk. This could be said about going to school or returning for a higher education. Whether you just graduated high school, or you missed your chance to further your schooling, it is not too late. See? Another opportunity just plopped in your lap – but what will you do about it? Will you take advantage of the occasion, or just sit back and watch it disappear again? If you have a passion for the medical field, do not let this chance pass you by! 2017 is the year to advance your education and career. Jump on the bandwagon and go to school for medical billing and coding. 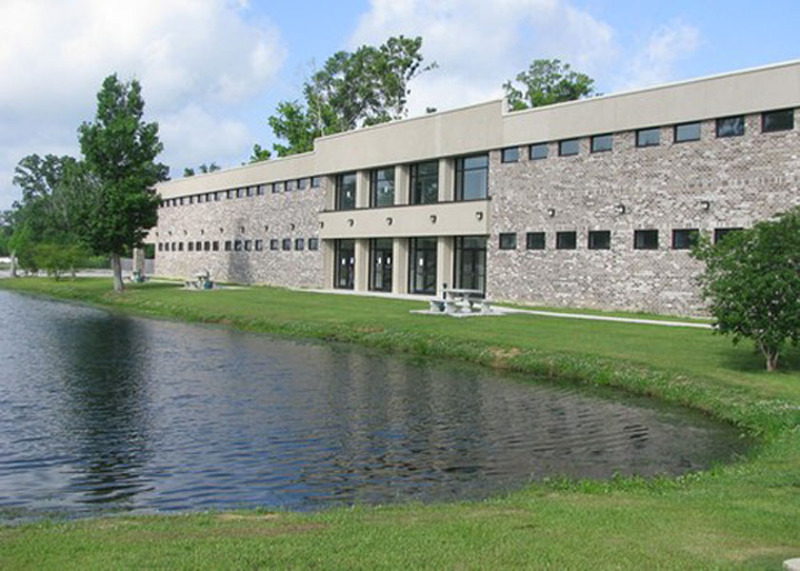 Begin your career the right way at ITI Technical College in Baton Rouge, Louisiana. Is your future in medical billing and coding? While this is not a new career choice, it has recently drawn a significant amount of attention. Anything that occurs within the medical field ultimately comes back to the billing and coding process. From here, your opportunities are endless. Do not let yourself feel overwhelmed. If you want to pursue a career in the medical field, but are unsure of which capacity, don’t worry – most students cannot make up their minds at first either. But get your foot in the door and enroll today to see what vocational avenues suit you best. What does the medical billing and coding training entail? If you do not know what medical billing or coding is, you should find out. Know what is expected of you before the first day of classes begins. When a doctor or physician sees a patient, they will ask questions and do an examination before reaching a diagnosis. It will then be up to you to interpret that diagnosis and formulate a code thereof. It may sound scary, but not to worry. Here at ITI, you will learn how to read diagnosis and will be well-equipped and prepared for the job. You will be able to translate the diagnosis into a code, and from there, transfer that code into a method of billing so that the clinic, office or hospital can charge the patient appropriately. You will shoulder a great responsibility which is why you must ensure that you get the best education possible. You will also need to be able to draw from your wealth of knowledge, and undoubtedly, call upon other nearby professionals for their expertise concerning unusual matters or situations that may arise. The Medical Coding School in Baton Rouge, Louisiana is here for you! Founded in 1973, ITI has offered a quality education to the Baton Rouge community. So whether medical coding is your career choice destination, or merely a stepping stone towards higher medical education, ITI Technical College is a wonderful place to start. Complete with student financial aid (Financial aid is available to those who qualify), hands-on training and practice, you can learn medical procedure codes and enter the medical field as a professional without needing the 4 to 8 years of college. With a good income, manageable hours, and in a professional setting, the job is a college graduate’s dream. Are you ready to take the plunge and jump right in? Call or email us today with any questions or concerns. Come visit the campus, meet our students and staff, and see if ITI is the place for you. Get ready to enroll in our fall program to begin the journey of your career in the medical coding program in Baton Rouge, LA. What’s the Best Way to Start a Medical Billing and Coding Career? With your high school diploma, you have a few different options as far as study and career goes. For some industries, you could take an apprenticeship where you study and work in the industry that you’re interested in. Sometimes, students wish to pursue undergraduate study to work towards a bachelor’s or associate’s degree. For some students, further study is not the best option, and if you want to enter the workforce as soon as possible, then you might not be excited at the prospect of further long-term study. One of the best ways to quickly get qualified and enter a rewarding job with competitive salary, is to study at a medical billing and coding school. You’ll be able to complete your studies over 12 months of full time learning, and you’ll come out fully qualified and ready to enter full-time employment. If you want to know how to get started, then it’s time to take a look at what ITI Technical College has to offer. Medical billing and coding is a skilled area of the medical industry where professionals take patient health and billing records, and translate them into standard code. The role is critical because it ensures that patients receive the right healthcare, that doctors and other professionals have clear and accurate patient records, and it even ensures that patients or insurance are billed properly. Because of the industry, medical coding is quite complex, which is why it is best to take a full year of study, so that you can be more competitive in the job market. By studying at ITI you will become fluent in the most widely used standardization systems, such as CPT coding and ICD-10. These systems are recognized throughout the healthcare and insurance industries, and they will allow you to find work anywhere in the United States. The course at ITI Technical College is hands on and intensive. Study is designed to give you a feel for what it will be like working in a hospital, medical clinic, billing company, and other related companies. You will learn computer literacy for the most common applications that you will use while in employment, and you’ll also learn soft skills like interpersonal communication and business professionalism. With just a year of study, you’ll be ready to take entry-level roles that will kick-start your career. 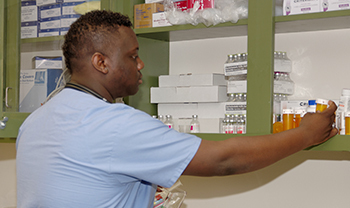 If you are planning to study nursing or even medicine in the future, then this short course and then experience in the industry could be a huge advantage. You’ll get an idea of what it is like to work in busy medical centers, and you’ll learn much of the terminology and processes that are used in the industry, Medical billing and coding can even be a great career in itself, as you could move up to senior coding positions, or even manage a team of coders. Many of your skills could help you to transfer into business administration within the healthcare industry, so you can think of this course as an excellent gateway for the rest of your career. You will be pleased to learn that with your medical coding certification, you will be eligible for jobs that can pay up to $50,000 per year, with the median wage being just over $35,000. For a certificate course that you can complete right after your high school diploma, the financial opportunities are unparalleled. Talk to the team at ITI Technical College today, and discuss entry requirements and the application process. We’re here to help you achieve your career goals, and you’ll be making a great choice by entering the rapidly growing job market for medical coding. Comments Off on What’s the Best Way to Start a Medical Billing and Coding Career? If you’re interested in entering the medical profession, there are number of ways that you can do it. Two of the most popular options, are medical billing and coding, and nursing. While nursing is focused on providing patient care and basic diagnosis, medical coding revolves around accurate data entry of standardized patient records. If you’re planning your education and your career, these may be two of the options that you’re considering. The decision can be difficult and it’s not one to be taken lightly, so it can help to compare the pathway to both of these professions, so you can find the one that fits your short and long term goals. There are a few different options when it comes to training to be a nurse. The one you choose can have a significant impact on your future job prospects. The fastest way is to study for an associate’s degree in nursing. This is typically a two year course with full time study, but can take up to four years, depending on how and where you learn. This will be the quickest way to find employment as a nurse, and will give you education in anatomy and general nursing skills. The alternative, and arguably the better route towards nursing, is studying for a bachelor’s degree. This can take three to four years of full time study, and will provide you with better career opportunities. Because the course will be more comprehensive, you will study different areas of nursing and health, which may help you to specialize or even work towards a doctorate in medicine at a later stage of your career. As you can imagine, both of these options include intensive training, and depending on where you study, they can be costly. If you are looking for a faster way to get into the medical profession without limiting your career opportunities or ability to earn good money, then you might be more interested in medical coding training in Baton Rouge Louisiana. If your key short and mid-term goals are to start working as a professional in the medical industry, then a certificate course in medical coding can help you to achieve your goal with just one year of full time study. Coding is highly specialized, which means that there aren’t as many different branches as nursing. You’ll end up working in the same industry, but with a very different skillset. In school, you will learn how to take customer medical records and accurately transcribe them into industry standard codes. These codes help to ensure patients get the right care, the right insurance coverage, and they even help government agencies to track health statistics across the country. Coders are currently in high demand, with strong job growth expected up until 2024. The median salary for an entry level coder is over $37,000, and experienced coders can earn more over time. Although this sits slightly below the figures for nursing, the fact that you won’t have a huge student loan can help to offset some of the salary difference. Most importantly, coding is not a closed career path, and you could find yourself moving into management, hospital administration, or you may even choose to take your experience and pursue nursing at a later time in your career. Of course, to get started, you’ll need to enroll in a medical coding program in Baton Rouge Louisiana. ITI is a great choice to learn coding in Louisiana. You’ll get expert support from a faculty that has real industry experience, and you’ll learn in an environment that emulates the busy offices of medical centers, hospitals, and HMOs. Talk to us today about admissions process and take a step in your career that will bring you financial rewards and excellent job satisfaction. If you want a career in the medical industry that really takes you places, then medical coding school could be the first step on an exciting path. Good job prospects, good pay and the opportunity to work in leading hospitals, private practices, dental offices, and health agencies, have all helped to make medical a great pathway for high school graduates or professionals who are looking for a change in career. At ITI College in Louisiana, you can study medical coding at a trusted educational facility that will provide you with the skills that you need to find your dream job. As a medical coding specialist, you will have the important role of using standardized diagnostic and procedure codes to keep accurate records for patients, medical conditions, and medical treatments. It will be your responsibility to translate all relevant medical records into the industry standards that are kept for practical purposes and legislative compliance. Efficient and accurate coding is not just about data entry. The process also ensures that patients are able to receive the right care, that insurance companies can process claims in a timely manner, and medical records are even used to develop national statistics datasets and track public health issues. The benefits are enjoyed by companies in the medical industry, the general public, and society as a whole. Accurate medical coding also ensures accurate billing which is something that directly impacts patients. To be a successful medical coding specialist, you will need to have a strong understanding of human biology and physiology, the healthcare process as a whole, and of course you will need to be fluent in medical terminology and standardized coding practices. Employers will prefer candidates who have graduated high school, and preference is given to applicants that have completed medical coding certification and training at a reputable school. Training at ITI will ensure that you understand diagnosis codes, CPT procedure codes and you will also learn how reimbursement works with insurance companies, health maintenance organizations, and programs like Medicaid and Medicare. There are various procedural standards and modifiers that are used in coding, and being able to prove to an employer that you have completed a standardized training program will give them confidence in your abilities, even if you don’t have any prior experience in the medical industry. If you take the time to read the news, or even read social media, you will notice a trend in recent years where graduates in the United States have found it difficult to find employment in their chosen profession, or even one that relates closely to their areas of study. When you choose to take a specialized course in medical coding certification, you won’t have problems finding employment opportunities. Jobs in the medical records and health information profession will grow by 15% by the year 2024. This is significantly higher than the national average of 5% for other roles. Median salaries of $37,110 make medical coding highly competitive with other entry level roles, and coders can find that a job helps them break into the health industry, after which they may complete further studies in nursing or other areas. Highly successful medical coders may stay in the industry and can even move onto other managerial or administrative roles in healthcare. Studying at ITI Technical College will provide you with the skills, knowledge, and confidence that you need to turn your ambition into a successful career. With a fast growing industry and great employment opportunities, our medical billing school in Baton Rouge could be exactly what you need to fast track your career. Contact us today for course requirements and enrolment details, and learn more about where a medical coding qualification could take you in the future. Training in medical coding can open doors for you in the healthcare industry, and with a healthy amount of jobs available throughout the country, it’s also a safe bet when you’re looking for a rapid path towards employment. Training for a medical coding job can be completed in a short time, and courses are open to college applicants as well as professionals who are wanting to make a change from the industry or role that they’re currently in. ITI Technical College is an ideal place to start training for your medical career, and enrolment for our medical coding training school should be the first step on your new career path. The following information will help you to decide if medical billing and coding is right for you, while giving you an idea of what it will take to make it in the industry. Employers looking for coders will always prefer those who have at least a high school degree, and a recognized certificate in medical coding or billing. ITI Technical College can provide the right course that will ensure that you meet this requirement. 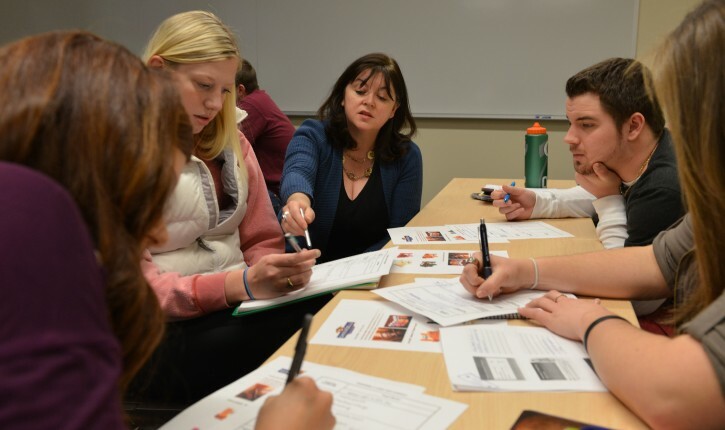 Certification follows an intensive period of academic tutoring and hands-on education. By combining structured lessons with practical application, you will get a strong feel for the demands of the job in the real world. During your coding course you will learn diagnostic and coding, medical billing, the terminology that is used in coding, as well as specific areas of medical coding that relate to insurance providers and HMO organizations. Remember that a core part of your role as a medical coder is to ensure that records are accurate, and that patients get the best care and service; so attention to detail is key to everything that you do in the industry. You will also need to have a strong understanding of biology and physiology, as this will help you to better understand medical terminology and documents that need to be translated into standardized billing and medical code. At ITI, you will find that you will always have support from the faculty when it comes to your learning, and of course you will also have a support network of student peers throughout your medical billing and coding education. Learning to work together with other students will be invaluable when you enter the workforce, as teams of medical coders also work closely together to ensure accuracy on the job. Are There Requirements for Studying at ITI Technical College? Our medical coding school in Baton Rouge follows a 12-month undergraduate certificate course. High school graduates can apply for the course, and special consideration may be given to other applicants. For those moving from another profession, experience and previous education will be taken into account. Course fees are highly competitive with other educational providers, and federal and private education loans are available for the course. Talk to us if you require financial assistance and we will help you to determine your options and the level of assistance that you qualify for. We want to make it as easy as possible for you to study with us so that you can begin a successful career. Overall, it’s not difficult to begin your training as a medical coder, but the course will take hard work and dedication. However, with the right curriculum and the level of support that ITI Technical College can provide you, you can be sure that your focus will pay off with a well-earned certificate, and job prospects that are far better than many other professions. Throughout America, the job market for coders will increase by up to 15% over the next eight years, which is significantly higher than the 5% growth seen in other industries. Call us today to discuss enrollment, so that you can be prepared for the upcoming term. A rewarding career is just a simple phone call away, and if you’re ready for real success in the healthcare industry then a medical billing and coding education is the quickest way to get in the door. First question: what does the modern medical setting look like? To answer that question, we must consider just what the medical setting was several years ago. Asbestos filled filing cabinets with important documents and records lined doctors offices, there may have been one rather bulky computer for a qualified individual to access once or twice a day, and most communication among staff, patients, and outside entities like insurance companies was done verbally or via snail mail. Step foot into a doctors office today, and you’ll find very quickly that things have changed. We’re in an age rapid technological development: everything is easier, more convenient, faster than ever before thanks to how we’ve made brilliant use of computers in the medical world. Today, we’re paperless. Records are kept online, communication is done via email and online patient portals. Diagnostic language has been replaced by medical procedure codes. With all of this development has come the necessary addition of medical coders- those who work behind the scenes of the doctors office to be sure things are documented accurately in the universal language of the medical world. What is Medical Procedure Coding, and What Does a Medical Coder Actually Do? Generally speaking, medical billing and coding is the transformation of healthcare diagnosis, procedures, medical services, and equipment into universal medical alphanumeric codes; all codes are taken directly from medical record documentation, like doctor’s notes, lab results, and other similar things. Why is this necessary in today’s modern medical setting? In a system overloaded with medical information that’s collected and distributed at doctor’s offices (symptoms, procedures, results, diagnoses), it helps to have a way which allows for the efficient transfer of mass amounts information – specifically for documentation and billing purposes. Coding eliminates confusion that might come with territorial or cultural differences. Medical coding requires that every illness have a code that consists of uniform data that’s trackable by government, health agencies, and the CDC. This is, by far, the most efficient way to document and track illnesses and treatments, and to assist with research and analysis. Because of how complicated it can be, and because it does require a lot of focus and memorization, a career in medical coding isn’t necessarily for everyone. To be a medical coder, we recommend you possess a few traits. First of all, you should be detail oriented. When insurance payments and reimbursements are on the line, you don’t want to accidentally mess up. One slight mistake on the medical coder’s part may mean a huge difference in financial commitment for the patient or insurer, improper data accumulation which may skew research and analytics, or incorrect medical records. In order to be successful as a medical coder, you must have attention to detail to ensure that you get things right on a consistent basis. Next, if you want to be a medical coder, you should possess an interest in the field of medicine. Generally speaking, coding is hard work, and for someone without a prior interest in medicine, it may be slightly boring. If learning regular terms – symptoms, illnesses, diagnoses, procedures – bores you, then chances are learning how to document code for those terms will as well. Lastly, a medical coder should enjoy working alone as well as with others, since they do a bit of both. For the most part, coding can be done in a solitary fashion, but sometimes collaboration is needed, either to get expert opinions from other medical professionals, or simply in day-to-day administrative responsibilities on the job. At ITI Technical College, we want to equip our students not only with the tools to form a career, but with the tools to form the right career for them. Simply stated, we pride ourselves on offering occupational studies for vocational work that will be relevant regardless of what changes in the economy over the years. In other words, the certifications pursuable at ITI are more than just words on paper; they’re certifications that will amount to a successful career doing important work- medical coding being some of that work. If you’re interested in a career in medical billing and coding, look no further than ITI to provide the best education for you. Perhaps you’ve always been interested in a career in medicine, but you’ve never wanted to dedicate several years to intensive schooling. Not everyone possesses an interest in working closely alongside doctors offices, ensuring that patients are well taken care of, so you certainly don’t want to waste that trait. However, not only is medical school time consuming, it’s really a one-focus priority that doesn’t allow time for anything else. For those who want to or need to get to work quickly, are there any options for a career in medicine? In fact, there is one really great option: medical coding. The best part about medical coding training? It’s a stable career that, for the right individual, can operate either as a full career path, or simply as a stepping stone for greater things. Medical coding is a vocational career that is growing in necessity, making it a stable career choice with tons of job security. What is it? Generally speaking, medical coding is the transformation of healthcare diagnosis, procedures, medical services, and equipment into universal medical alphanumeric codes; all codes are taken directly from medical record documentation, like doctor’s notes, lab results, and other similar terms. You might be wondering… what’s the point? In a system overloaded with medical information – most of it collected at doctor’s offices and distributed amongst other health agencies – things like symptoms, procedures, results, and diagnoses, it helps to have a way which allows for the efficient transfer of mass amounts of information, specifically for documentation and billing purposes. Not only is medical coding a job as necessary as actual medical practice, it’s also a job that can be a stable stepping stone to a bigger career in medicine. Unlike many medical careers, it doesn’t take several years to acquire the education needed to pursue it, and when it’s all said and done, the job itself can be, literally, whatever you want it to be. This means if you’re ready to work, and maybe can’t afford to enter medical school without a lucrative and relevant career, medical coding may be your best bet; simply buckle down in your studies, establish yourself as a medical coder in a stable career, work hours that you prefer, in a location that you prefer, and, perhaps this will allow you the opportunity to work right alongside your pursuit of a different career in medicine. So, where can you study Medical Coding? 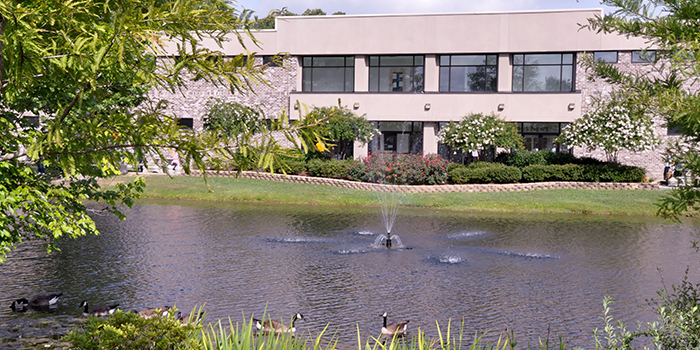 ITI Technical College has a medical coding school in Baton Rouge that is second to none. We offer in classroom training conducted by experts in the industry, as well as practical hands on training that will assist students into confidently pursuing a career in medical coding, whether it be a long-term decision, or merely a stepping stone. Education aside, our students are thrilled to learn that we offer a wide range of financial aid and services to those who qualify, career services, student services and other resources that are vital parts of ensuring success for each student. At ITI Technical College, we want to equip our students not only with the tools to form a career, but with the tools to form the right career for them. Simply stated, we pride ourselves on offering occupational studies for vocational work that will be relevant regardless of what changes in the economy over the years. In other words, the certificates and degrees pursuable at ITI are more than just words on paper; they’re certifications and degrees that will amount to a successful career doing important work. Since our founding in 1973, we have provided the best of the best in training programs that exist based on the needs of the time and of the business and industrial community – medical coding being one of these programs. If you’re interested in medical coding training, there’s no doubt about the fact that ITI Technical College is the place for you.